UPDATE #3 (01/24/19): We have been informed the price has dropped again to $39.99 with free shipping. 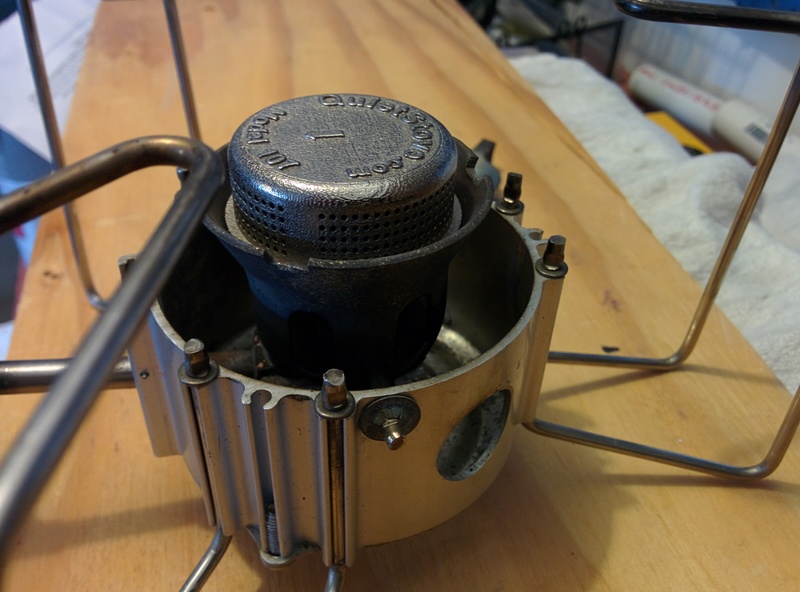 UPDATE #2 (1/10/18): A kind reader has pointed out that the Quietstove damper has dropped about 17% in price to a now bit more reasonable $50. 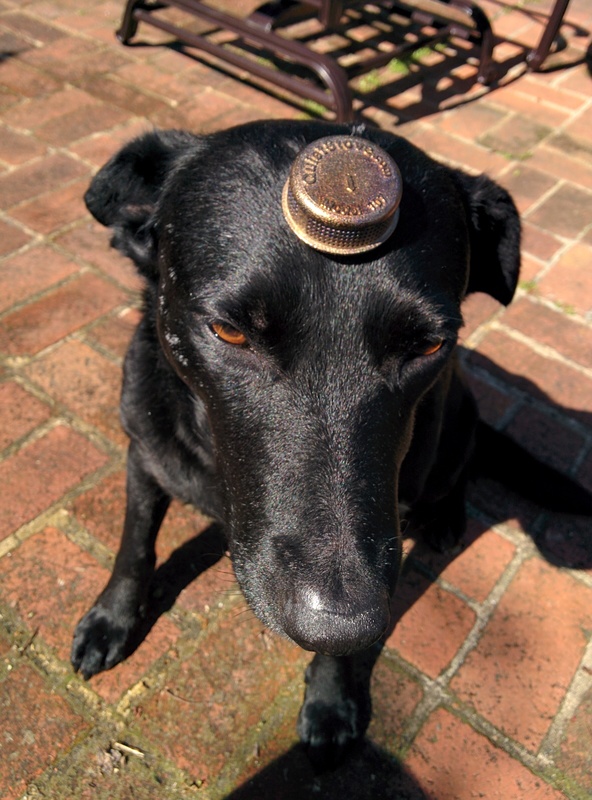 UPDATE #1: We have found another brand of damper cap and performed exhaustive tests on both caps as well as on the stove in its factory configuration. That review, pictures and test results can be found on our DragonTamer page. TL;DR: Works amazing. Approximately 10dB quieter than the stock stove which is substantial. Boils water much faster as well. No moving parts=nothing to break. 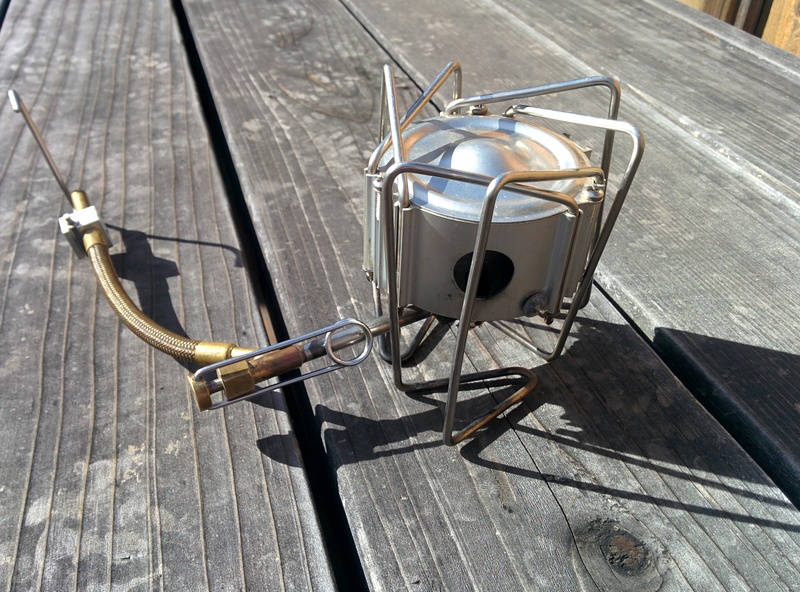 Versions for dozens of different backpacking stoves not just our MSR DragonFly. Ridiculously expensive but does have a Lifetime Warranty. 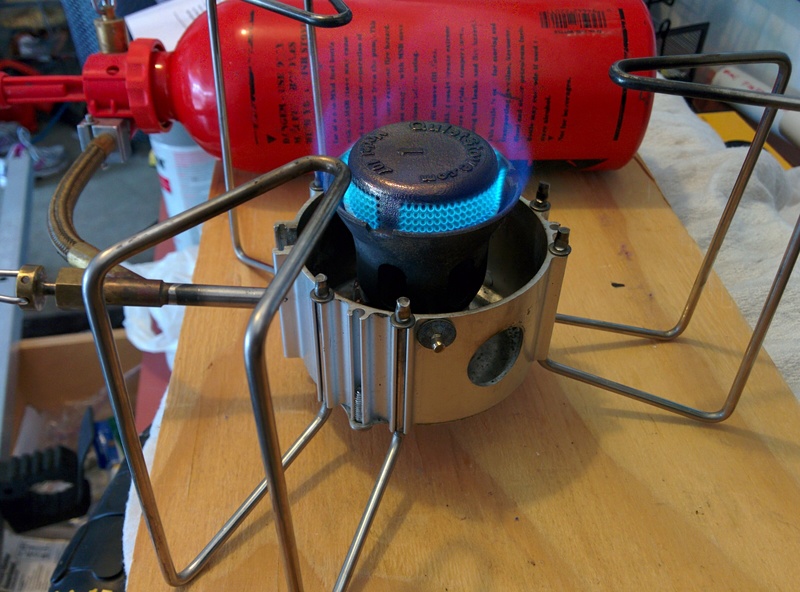 We have owned and regularly used our MSR Dragonfly Stove for well over 20 years. It’s tough, has a finely adjustable flame, can burn several different fuels and is easy to service. 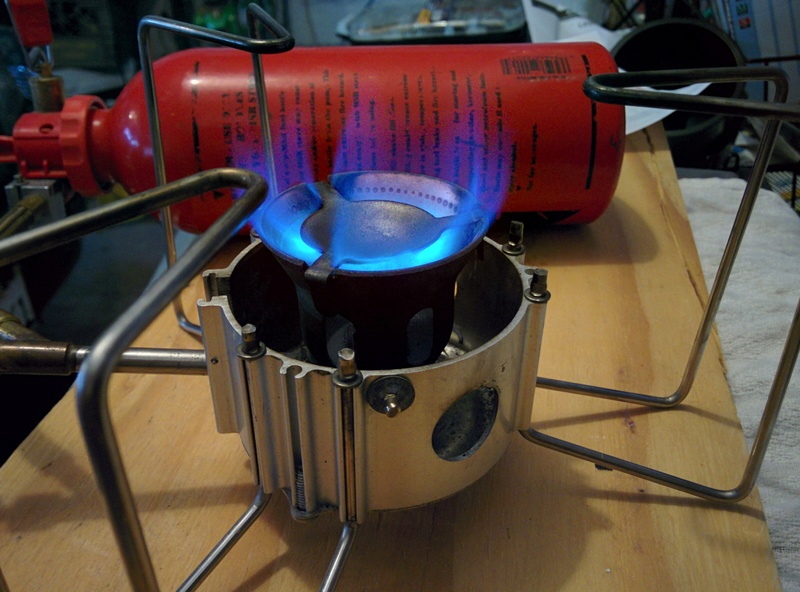 As far as a backpacking stove goes it is not particularly lightweight or fuel-efficient but it just works well. Its one big negative though is the sound it makes when under full output. It sounds like a rocket taking off. To be fair all pressurized gas stoves that utilize a flame spreading cone have this same issue. Growing up when the whole family was backpacking my dad carried an old Svea Stove which he still has in his box of backpacking gear. That was the first stove I ever learned to work and it made the same jet-engine-like roar at full tilt as my DragonFly. Liquid fuel being squirted out of a pinhole opening under high pressure to be atomized and ignited as it slams into the underside of a metal cone is bound to be unhappy about it and protest noisily. Bell Housing With Cone Removed Showing Fuel Jet. Cone Is Sitting On Plank Behind Stove. Again, this system, in its default configuration from the factory, works great. If one didn’t know better you might just think that this stove does everything a backpacking stove should do well and leave well enough alone. On many occasions over the years though, during both morning and evening cook times, we have wanted some peace and quiet. To listen to music or the localized hum of the natural world around us, quietly read or talk to a fellow camper or even just be up early making coffee and not wanting to wake up anyone within a hundred feet or so. This stove and many others of the same essential design make that practically impossible. In the past we have tried setting up farther away if we were with others or surrounding the stove area with a windscreen and boxes of camping stuff in order to disrupt those sound waves screaming off and away from the stove. Those methods all gained us various levels of improvement but nothing made a good enough difference, especially when you are standing right next to the stove. Then we happened to come across the QuietStove. There are more than a few videos of the QuietStove in operation available online so I am going to save my AWD bandwidth and send you off on the hunt if you so choose. 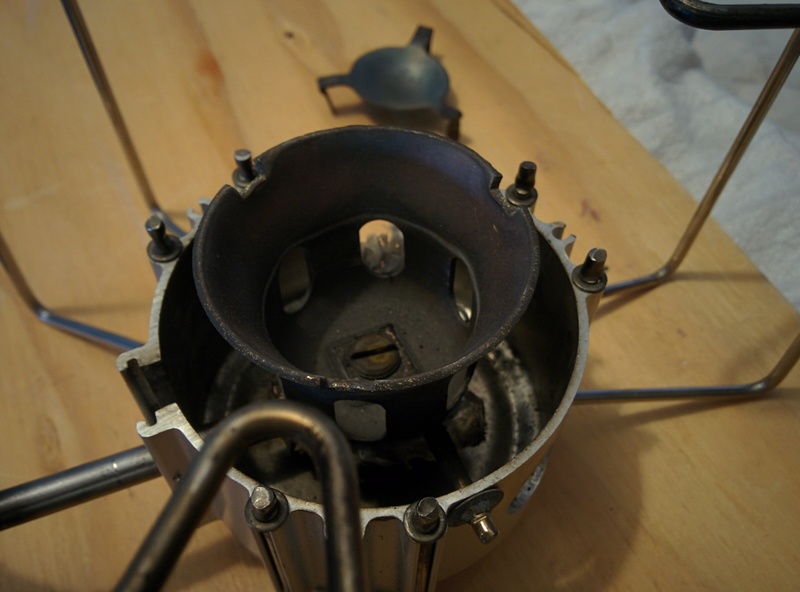 To install it you simply pop off your flame spreader cone and place the QuietStove in its place in the bell housing. The QuietStove does not actually sit on those four legs at least not on our Dragonfly stove. It seems to sit on the bell housing in direct contact with that small lip you can see underneath the multiple flame holes. We think the legs are to guide it into its correct position and horizontal orientation and to keep it from rotating away from that position or wobbling dramatically once correctly seated. Before your first use you need to actually read the operating instructions that come with it to learn about “under burn” and the slightly different stove priming and lighting procedure before you attempt to use it. Thinking to oneself “hey, it doesn’t seem to be burning correctly so let’s turn up the fuel delivery… a lot” is a good way to almost lose your eyebrows and burn down your sister’s garage. Don’t ask me how I know this. Once it is up and running correctly though the reduction in sound is DRA.MA.TIC. QuietStove in Use. Sister’s Garage Unsinged. 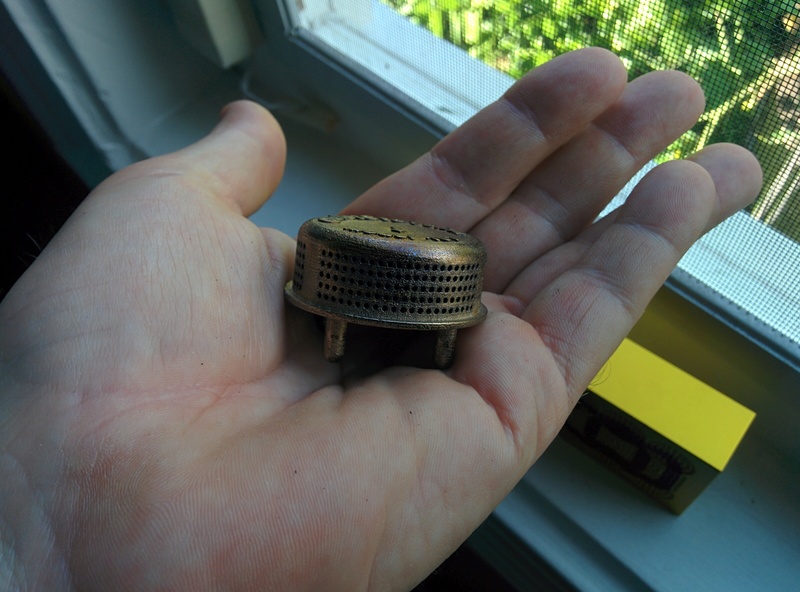 Some details from the QuietStove site: Made in the USA. Nickel plated for superior durability. 90 day money back guarantee. Lifetime warranty. While those are all pluses and the reduction of jet engine-like noise is noticeable and nice there are a few negatives that you might want to take into account before buying one yourself. 1) Since the ignition area now sits a bit higher than the rim of the bell housing wind and mere breezes have a much more pronounced effect on the flame when lighting and running the stove. If you didn’t regularly use a wind screen (you should) you will almost certainly have to start. 2) When the stove is on and heated the metal of the bell housing expands a bit and when it cools it contracts. 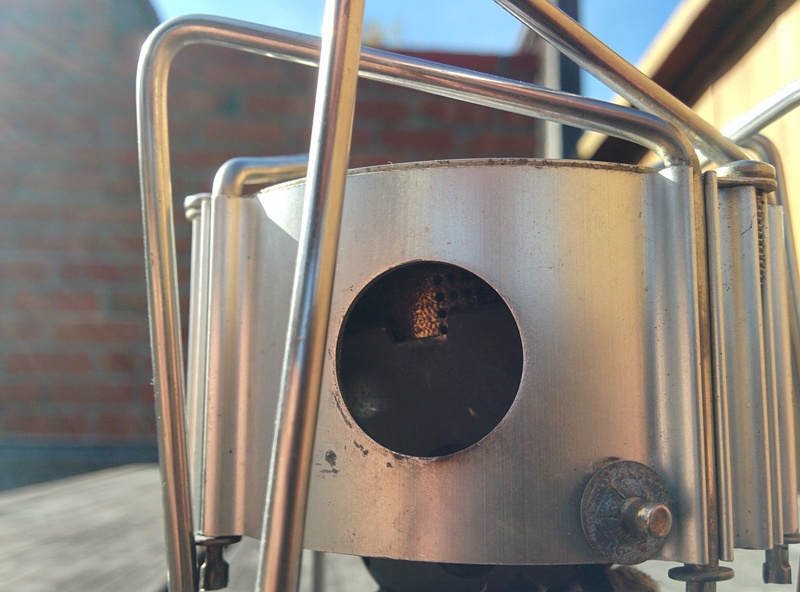 This can and often does lead to the QuietStove seating itself slightly further into the bell housing and becoming stuck once the stove is off and has cooled and contracted. If you are staying in one place for a while this doesn’t cause an issue, just keep using the stove as normal. If you are on the move though and need to break down and stow the stove on a daily basis you may need to use a tool to pop the QuietStove out of the bell housing or lightly (and maybe not so lightly) tap the stove on something hard to jog the QuietStove loose. You can also just choose to leave the QuietStove in place and flip the bell housing around into position for it to fit into its factory bag although we would not recommend that. In transit the damper will inevitably shift around in the bell housing so that it jams the whole assembly in place when you go to try to rotate it back into its normal operating position. You then would need to take a small screwdriver or similar device and then, through the small holes in the side of the Enclosure Assembly, gently move the damper around on the bell housing until it is in the proper alignment to allow you to rotate the housing right side up in the Assembly. PITA. 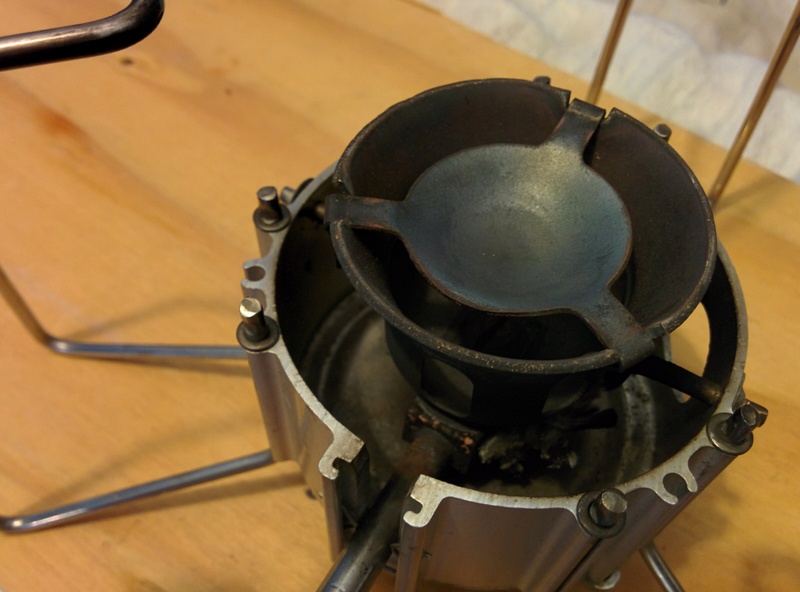 QuietStove in Place When the Bell Housing is Rotated Into the Enclosure Assembly For Storage. It is Not Coming Out of There Without A Fight. 3) The price of $60 is seemingly outrageous for this or almost any hunk of non-precious metal. 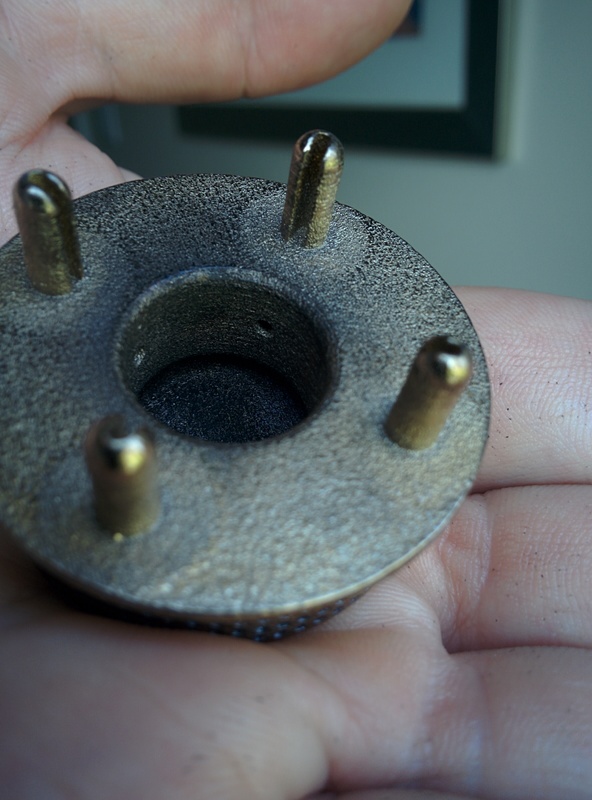 They make no mention on their site if the QuietStove is made by casting, forging, machining or 3D Printing. Our guess is that which ever one of those methods costs the most, that is how it is made. You’ll need to decide for yourself if the price is justified or palatable. Willow Likes It So Much She Wore It Like a Tiny Clown Hat. Yes, after it had cooled. For us it has solved a problem that had been a minor annoyance for decades. Since we are, literally, on the road and camping and using it for well over 200 days a year, for us, the sticker shock is at least mitigated by our newfound quiet cooking times. YMMV. 1/22/19 Quietstove dropped their price and these are now $39.99 with free shipping. Thanks for the update George, I updated the article to reflect those changes.